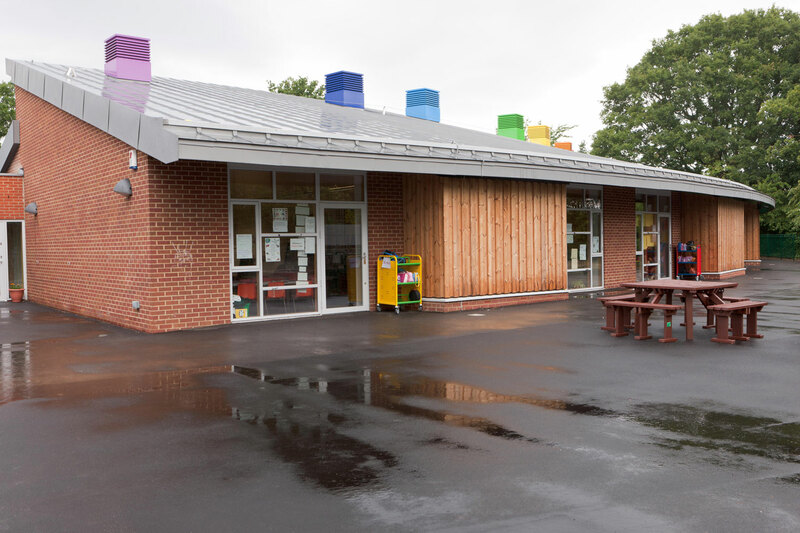 As part of Kingston’s Primary Capital Programme we have worked with the design team to provide the school with 9 new classrooms and a new dining hall structure. 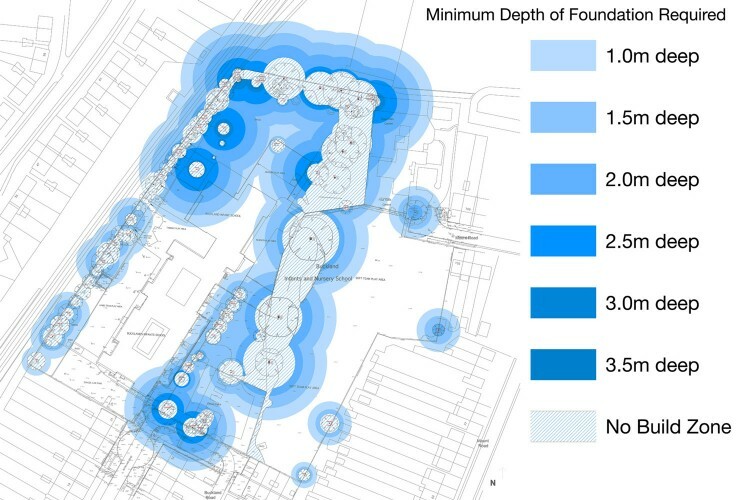 The site is surrounded by a number of mature trees and bounded on one side by the railway. 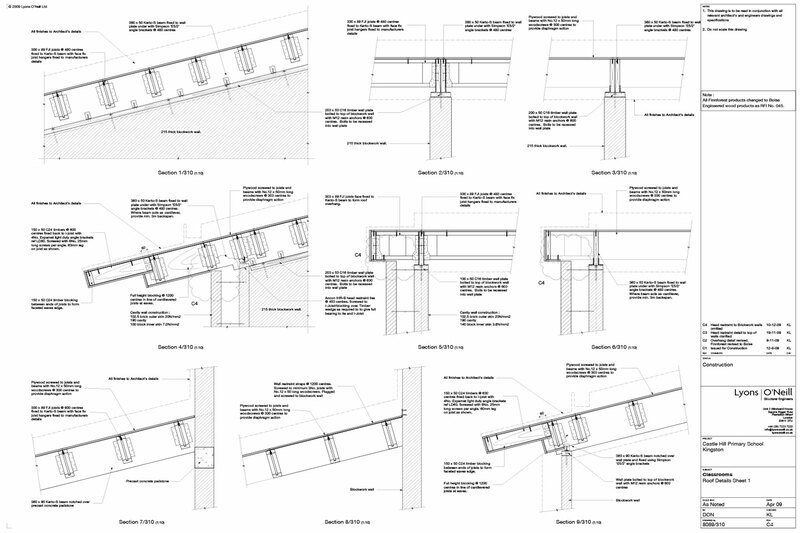 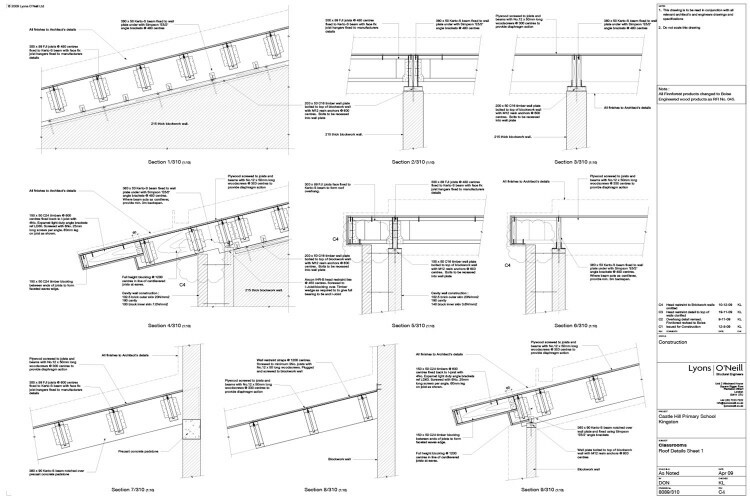 These constraints meant understanding the build sequence was an important part of the design process and a combination of minipiles and regular piles allowed us to negate the issue of both the trees and the railway whilst retaining a quick and economical build. 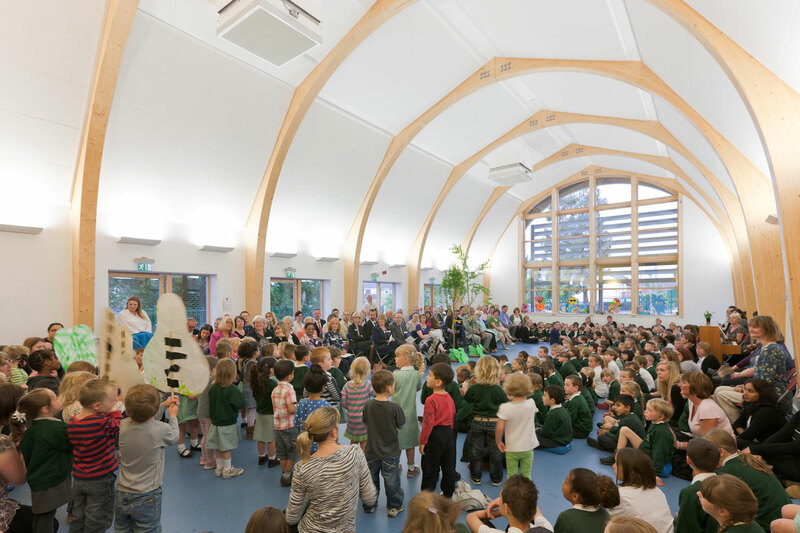 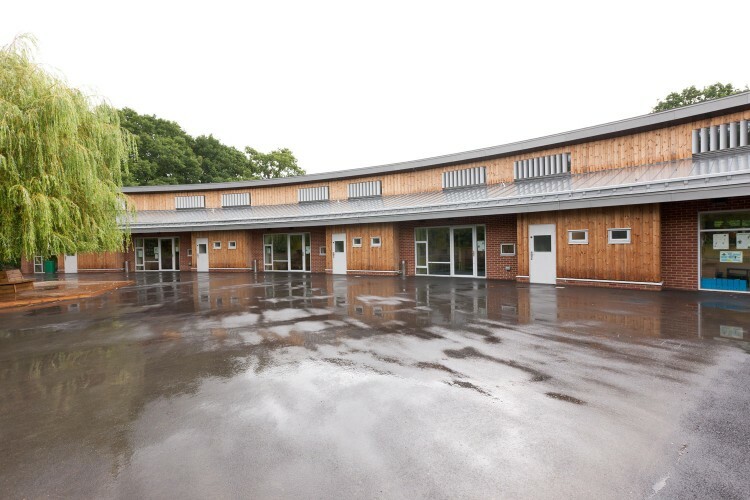 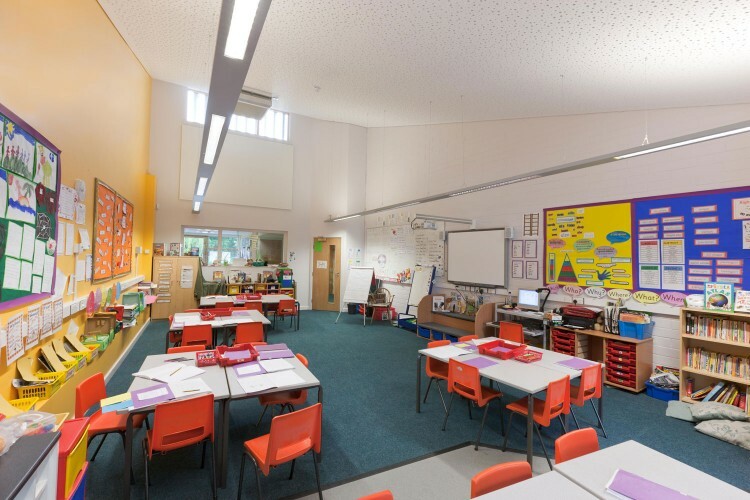 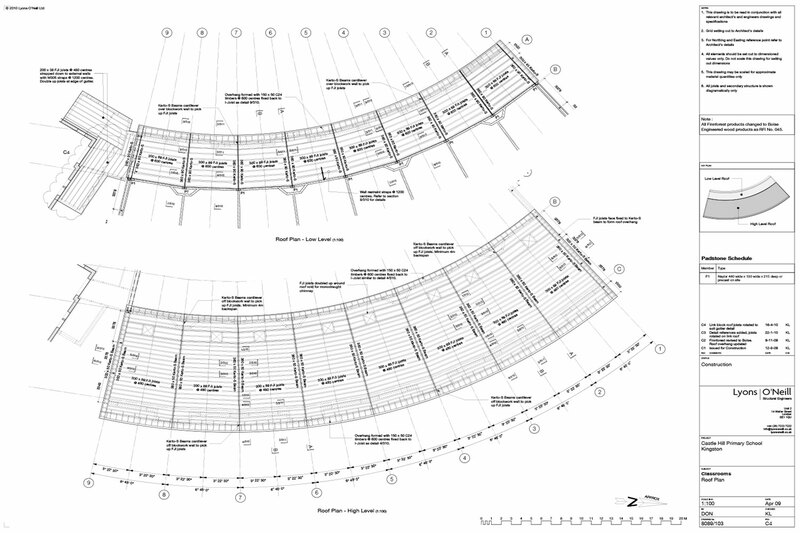 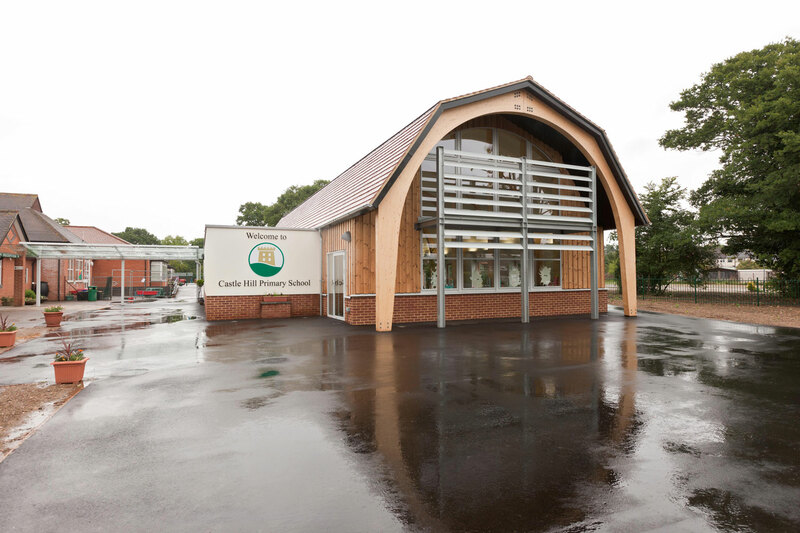 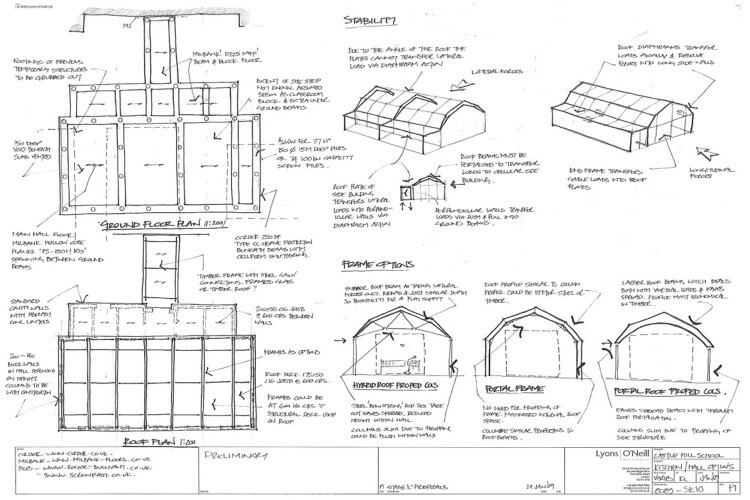 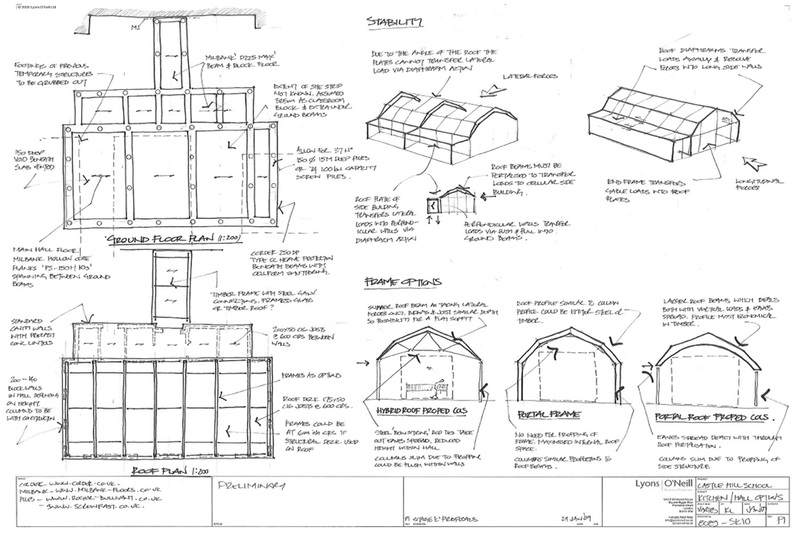 The conical roof of the classrooms was created using a series of simple radial timbers in Kertolam timber which allowed the beams to be installed in one complete length. The dining hall is constructed using an exposed glulam timber frame which provides a column free and attractive double height space.